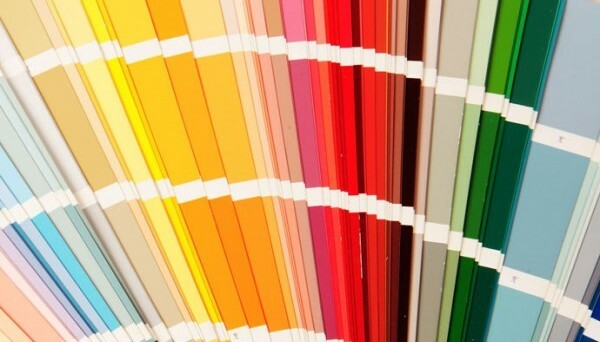 How to decide the best color scheme for your website? Owning a website is not merely a technical and functional endeavor, it is quite a creative one as well. Though the sole intention behind developing the website could be generating more leads associated functions, but to effectively ascertain the same, you need to target the very intellect and psyche of the users. The color scheme of the website is an indispensable part of ensuring a healthy and effective user experience. It is the color scheme of the website which determines its success or failure. You may have the best content possible on your website, may provide the most lucrative product deals and etc, but if the color scheme is not inviting and engrossing enough, you may better bid adieus to your aspirations for online business success. Just do a little case study. If you have a website with a turquoise background and the content is written in white, do you really think readers will read it? Obviously not, and what’s even worse is the fact that you will become a laughing stock in the online community. Even if you do not do such blunders with the color scheme of your website, and stick to the basic white, gray or black back grounds, how exactly does your website stands apart in the crowd? There are numerous websites available with a white background and where is the uniqueness of your website? If you are looking for a way to design the right color scheme for your website, you have stumbled upon the right article. Below we provide you with various ways of designing a nice color scheme for your website. Read on to know more. Your website is your own baby. Thus no one understands the soul of the website, quite like you do. Hence just sit back and think things over. Make a mind map on how you would really like to view this website. Besides, work in close association with the website designers and developers, tell them what you expect and be open to their comments and feedback. You also have the option of choosing certain designing assistance software available over the internet. It is important for you to include your marketing objectives in the website design. The more integrated your various marketing channels are, the better it is for your website. It helps in ensuring trust of the customers, and maintaining a consistent and trust worthy appeal. It is better to include the scheme on which you have designed various other marketing channels in the website, from the initial stages itself. The logo of your company is primarily the image the users will have about your business activities. It is the simplest, shortest and easiest way to let the users identify and recognize your company. If you already have a logo which is quite popular as well with the users, it is high time you start to capitalize on the same. Set the base of your website, with the help of your logo design. The logo is a must have element in the website. Pick the color from your logo design, to set attune the entire color scheme of your website. The website is great way to build your brand image and hence striking the synergy between the logo design and the website design and color schemes shall prove to be highly beneficial and profitable for your business web design. Remember the magic of Shading? We all must have studied art and craft in our elementary schooling and shading used to appear almost like a magic to us. It will make the drawings look much more animated, almost giving it a 3 dimensional look. When it comes to the website, you can add shading to the basic color scheme. The shading can be done with complementary colors to enrich the designs further. If you design a nice color scheme and shading, you shall be able to breeze life in the website and its design. First let us understand what do we really mean by an analogical color scheme. It primarily comprises of a one base color, the base color is accompanied by a neighbor color and they both are often greeted by this complementary color. To begin with, use the right color base for the major portions of the web page or the website itself. Then skilfully utilize the features of the complementary color, where ever applicable. Finally you can use the neighboring color to add extra features in the website. In the above analogical color scheme, we mentioned three colors, and well that is the general rule of thumb for designing the website. Never use more than 3 colors, unless absolutely necessary. Too much of the color scheme would only clobber the comprehensibility and the professional appeal of the website. It is not a drawing competition after all, just a way to make the website look groovy and easy to read. The color scheme must not make the content hard to read. The entire point behind developing a color scheme to represent your website is to facilitate the users to read it and browse through it comfortably. If your website makes it really difficult for the users to read the content and browse through the same, better not have a color scheme altogether. The point is to be simple and captivating. The entire purpose of designing the color scheme for your website is to turn an insipid website into an engrossing one. But the impressive design, must never cost the comprehensibility and meaningful attribute of the website. Ankit Pandey is a web designer and a passionate writer working with WPCanvas, a specialist in PSD to wordpress conversion with a talented team of WordPress developers. One can also hire WordPress programmers for their WordPress theme development needs at an affordable price.